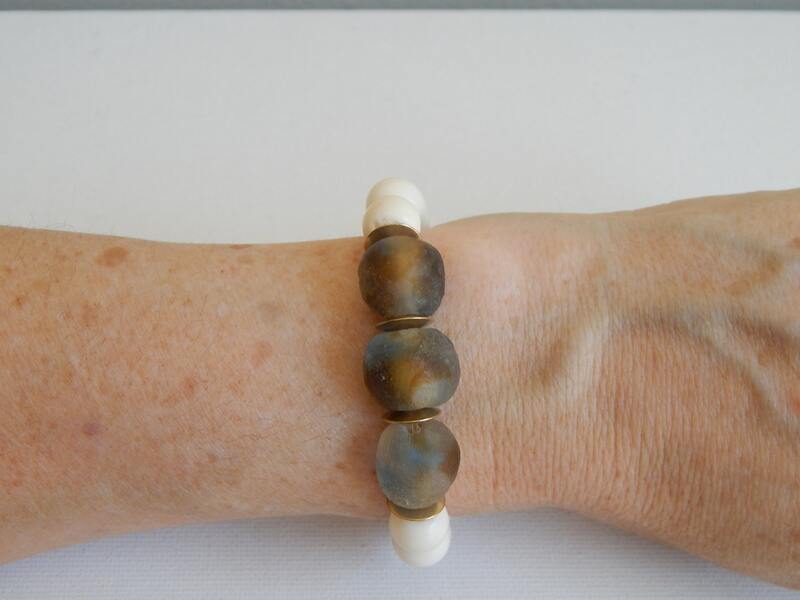 White bone bead stretch bracelet with blue and brown swirled recycled glass with brass accents. 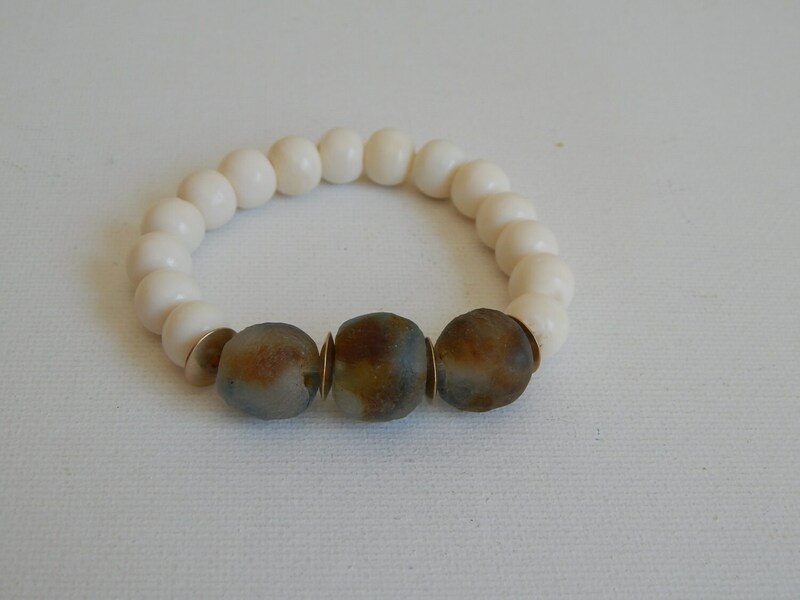 This bracelet will be your everyday go to piece this summer The neutral color will go with anything that makes easy to layer with others or wear alone for a beach boho look. 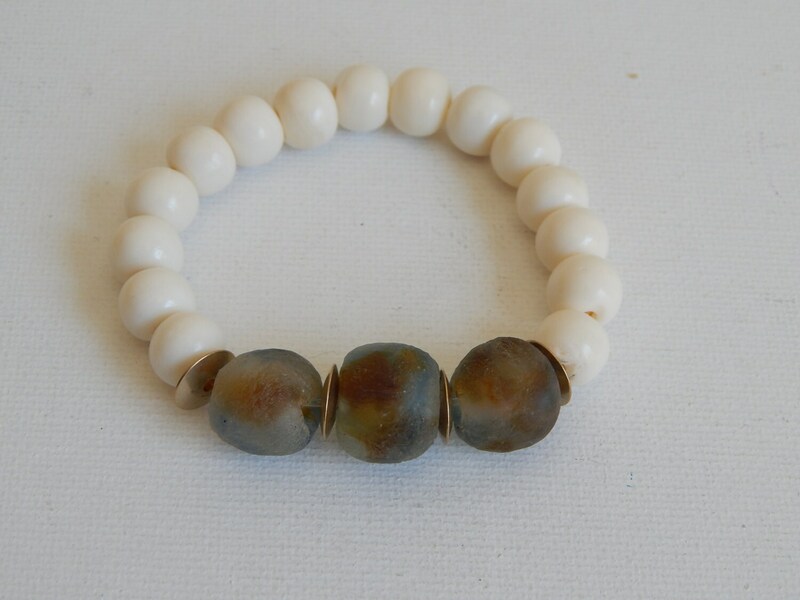 Bone beads are 10mm and the recycled glass is 15mm. Available is 3 other colors. 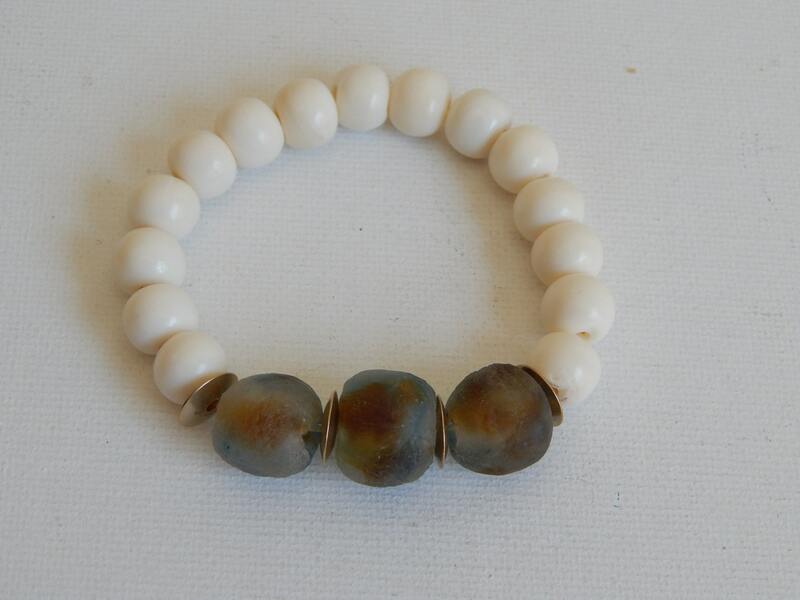 Fits wrist size 6-6 1/4 inch. If different size is needed please leave a note at checkout. Adjustable up to a 7 inch wrist.